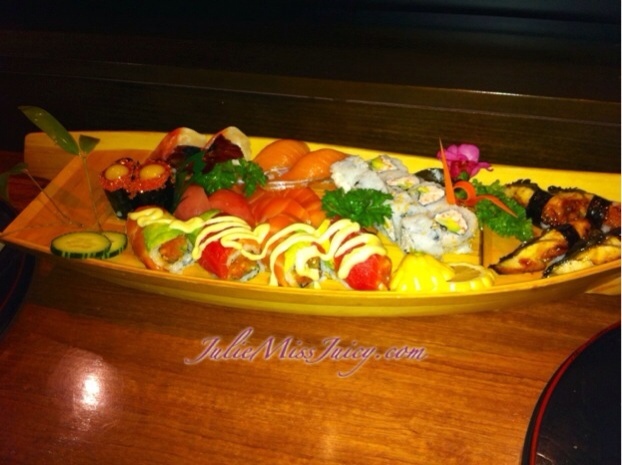 My Sushi Boat looks so Lovely!!!! When my man and I have our Date Nights, we usually like to EAT GOOD! So we stopped by Sinju at Clackamas for a bite to eat. My eyes were more hunger than my stomach but we managed to kill the whole thing! Japanese Sushi at it’s Finest! 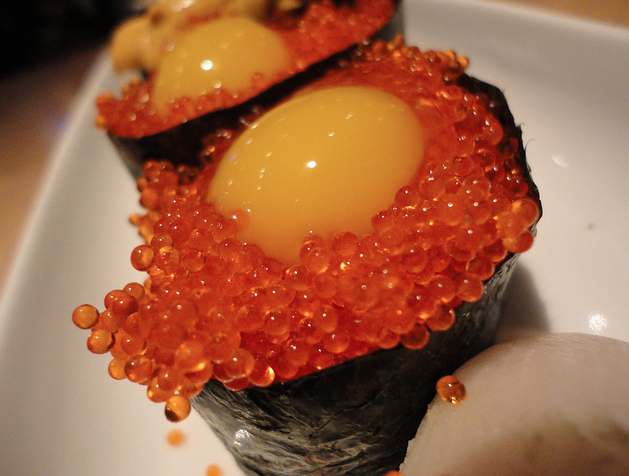 If you are new with Sushi I recommend you trying the California Roll or the Unagi Egg! They’re always good choices! 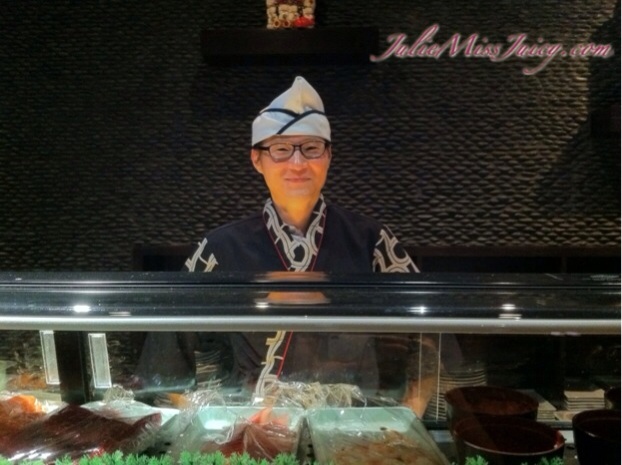 Meet Our Japanese Sushi Chef… Jim! He was absolutely wonderful! You could feel his sense of kindness and his gentleness by his every move! Thank you so much and you truly did an amazing job! 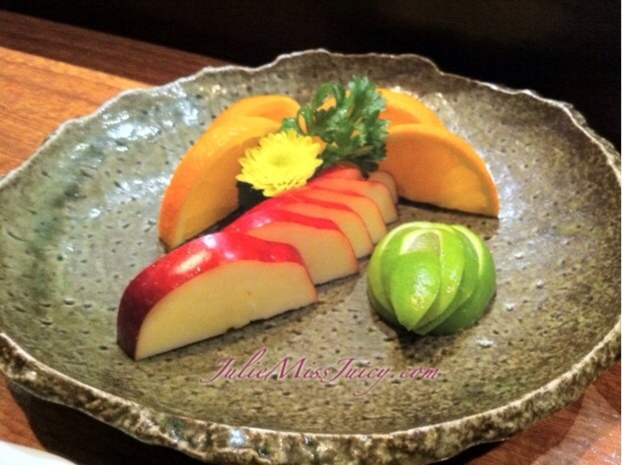 After we sunken all the sushi down into our tummies, this was a very nice Treat Surprised from Jim! Sweet and JUICY! It just makes you feel so much happier and healthier! Lol Here’s my Crazy Lil Monster before heading over to her God-Parents House for Some Prime Ribs!!! I swear she’s growing up too fast!!! The Vy Family sure knows how to throw it down for dinner!! Nothing beats a Home-Cooked Prime Rib FEAST with Wine & Laughter! I can’t wait until NYE to partttttyyyyyy now!!!!!!!!!! I just did a quick polish change to get ready to bring in the New Year!! I went to Ulta Beauty Supply Store and they had a huge sale on their nail polishes! 2 for $4.99 (originally $6 each) HOLLA!!! Here’s the Duo Set I picked out! Step 3. Top off with Ulta “Tink- Her-Bell” for some Glitter FUN!